Who doesn’t love a good origin story? It helps you see where someone’s values are and what motivates them. After I graduated college, I was drowning in 22 years worth of clutter. I was chronically stressed and depressed. I moved four times that year, and the final move nearly broke me. I remember carrying 50-gallon trashbags full of clothes that I never wore downstairs to the moving truck and holding back tears under the literal and figurative weight of it all. So when I began my life in a new city, I started to get rid of anything I didn’t need (which was no small feat). 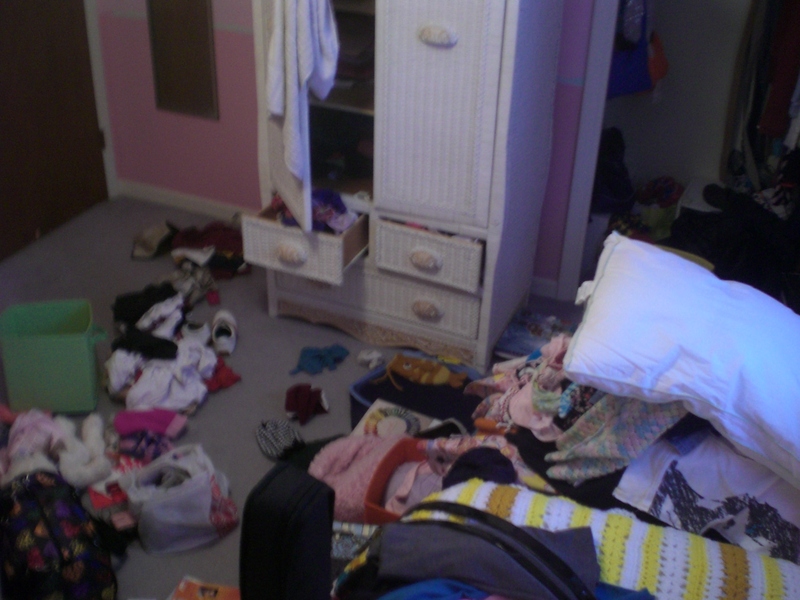 It started with clothes and slowly expanded into my other possessions and other areas of my life. So basically, my origin story is based on stuff, and lots of it. But that’s not the only entry point into minimalism, so if you’ve been struggling with the “stuff” part of it all, there might be another way to start simplifying. What’s most important is that you do what feels right! There are others who have shared their origin stories. Some are similar to mine and some are very, very different. Courtney Carver started with her diet after a medical diagnosis, then proceeded to simplify the rest of her belongings and her lifestyle. Joshua Becker started with his stuff after spending more time than he wanted to cleaning out his garage. Joshua Fields Millburn wasn’t a minimalist until life-changing events sparked him to approach the emotional weight of the stuff around him. Ryan Nicodemus, alongside Joshua Fields Millburn, decided to switch his pursuit of the American Dream to the pursuit of an intentional, good life. This one is the most evident, and is the most obvious place to start. You can identify this as a problem when you start running out of places to put stuff, find yourself cleaning too often, or spend an inordinate amount of time on finding the perfect storage solution. Starting with clutter is a great way to get the ball rolling and you will soon see the effects of simplifying your stuff in your life. A clear space is a clear mind. However, it’s not always a comfortable place for everyone to start based on emotional ties to stuff or time or health constraints. I think we’re all trying to simplify this with varying degrees of success. This category is hard. Unexpected things pop up that make this area of our lives difficult to control completely. However, starting here will give you more time for other areas of your life (because time is money and money is time). It can be as drastic as you want – you can aim for early retirement like Mr. Money Mustache or you can just cut out most extraneous expenses and get debt-free a little sooner. There’s a pattern here – most of these entry points deal heavily with emotion, and this one is no exception. Your food choices are highly personal and the are the most directly connected to your actual human life. Food determines our energy levels, our immunity and our overall health. This is one area that you can actually add to instead of taking away from – start by adding in an extra serving of veggies or an apple snack to remind your body what these nutrients can do for you. This is the change that you can make right now, while the other changes will take a little more time. Even though this one seems so impossible, trust me: there’s always room. Simplifying anything in your life means that you have to learn to say “no” to things, and what better way to get practice in? 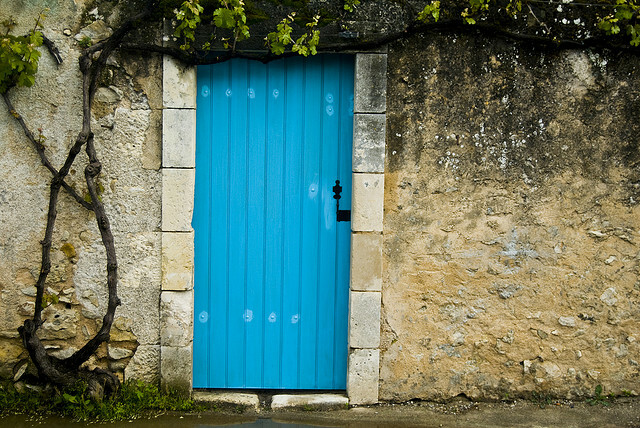 We’re bombarded by invitations, requests and meaningless to-do’s, so start small. What is one thing that you can say no to today? Saying no to things that don’t add value to your life means that you can say yes to more things like spending time with loved ones, going on walks and taking care of yourself. This one is difficult – are there relationships in your life that do not bring joy or value? Are you surrounding yourself with people who motivate you or are you surrounded by people who bring you down? Breaking off romantic relationships and friendships is complicated, but sometimes both need to be done.But by saying “no” to certain relationships, your truly meaningful relationships will have the space they deserve to flourish. If you have an internet connection, you probably have this problem. Notifications, requests and updates are constantly pinging on our desktops and our phones. Even though it takes up little physical space, these distractions take up a massive amount of emotional and mental space. This category includes social media, files like word documents and photographs, email, and our cloud-based calendars. Start by removing push notifications from your phone as much as possible, then explore each space individually after that. Take a moment to think about where most of your stress lies. If you’re stressed about being busy, then look into your schedule. If there’s too much buzz in your mind and on your phone, start with digital distractions. Always frustrated about the clutter on your desk? Start with stuff. If you can’t think of it right away, observe yourself for a couple of days. When and where do your stress levels spike, and when are they the lowest? If you’re worried that you just have to choose one, fear not. Once you start simplifying and streamlining one part of your life, you’ll start to see how it can be applied to other areas. I felt like it was no stretch to change my eating habits after my closet was manageable. I began to value my time more after those two changes, so I then switched my focus to my digital life – particularly cutting down on Facebook. Whatever you choose, know that your path to simplifying is entirely your own. Read others’ stories and take what you feel is relevant to yourself from them. If you try to copy someone exactly, you’ll end up in an unsustainable, frustrating and ultimately, complicated lifestyle. Where did you start simplifying, or where do you think you’ll focus next? I’ve always been fascinated by magazines. Something about the editorials alongside brilliantly colorful ads and the smell of the perfume samples really gets to me. But of course, the temptation to buy is there, and it’s strong. 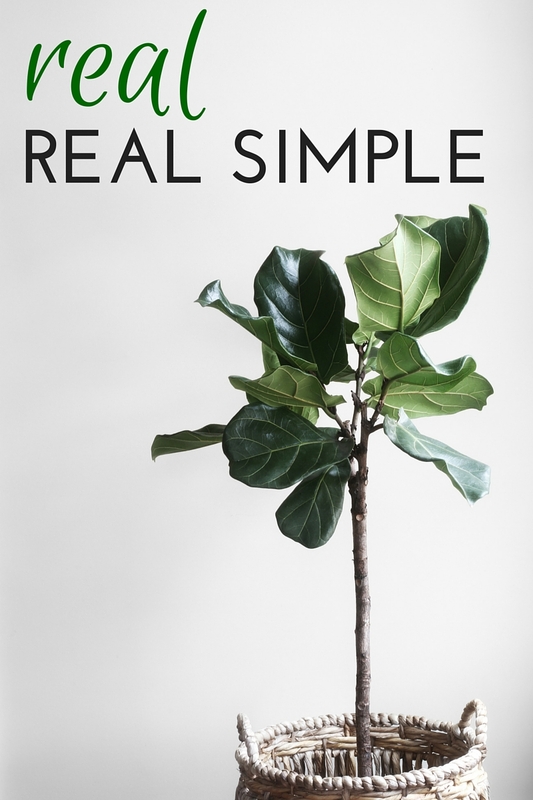 And a few years I realized the ultimate irony: Real Simple is filled with tempting products that claim to offer a more simple life. But there’s so rarely a case for more when it comes to our quest for less. Don’t get me wrong, I still enjoy the magazine, but take a moment to flip through the pages or webpages and you’ll see ads and product recommendations – quite the opposite of what it takes to really live a simplified life. So I’ve been brainstorming what that might actually look like. Work. If you love it, stay. If you don’t, get out of there. I’ve seen too many Millennials (and older) hang on to jobs with excuses about money and the job search is hard…if you really want to make a change, then change. If you’re miserable and unwilling to try to make a change, then that lies on you. Complaining will get you nowhere, but some research and effort might take you further than you’d ever think. Food. Forget learning how to read labels. Learn how to shop for (and cook!) meals made from things without packaging: fruits, vegetables, whole grains and beans. A diet like that isn’t terribly expensive or time consuming – in fact, the extra love you put in now will save you health care costs in the future. The closer you get to the natural state of the food, the better. (Also, I don’t really subscribe to one particular diet, but I’ve found that veggie-heavy and very few animal products works well for me). Relationships. Put your people into three buckets based on the energy they bring to your life: positive, neutral, and negative. Start spending more time with the positives and spend less with the negative and neutral people. Being aware of how they impact your life is a strong first step in curating your relationships – and more meaningful relationships will benefit everyone, not just you. Stuff. Declutter before organizing every time. If you’re overwhelmed with your stuff, getting new storage bins is just a temporary solution to a larger, more permanent problem. You don’t have to get rid of it all at once, but edit when you can. Keep your stuff only if it’s useful or beautiful to you. Exercise. You don’t need a plan – just get outside and take a walk. Switch out coffee dates for walking dates. Bike to work. Do pushups or situps while you’re watching Netflix. I think, for me especially, it’s easy to get in our heads about doing something good for our bodies. We can’t expect to run a marathon on our first day, and we can’t even expect to feel like working out everyday. But what is most important is making the time to do one thing for your body every day. I love this advice: make it a goal to get your shoes on and get out the door. What comes next is up to you, but at least you’ve accomplished that first step. Finances. Track your spending, then make a budget. Awareness is the first step! This ties in with almost every other point I’ve mentioned. Stick with whole, healthy bulk foods, find free ways to get fit and socialize, and don’t buy it if you don’t need it. If you really love something and want to get it – give it some time, research it, and think about where it fits in to your life. I usually give myself at least a month to really know that it’s something important to me before taking the plunge. The most simple, real thing I believe we can do that has a lasting impact is this: be kind to yourself. I know this sounds a little cliche and/or silly, but I really believe that finding the right balance of motivation and self-care has profound effects on our lives and the lives of those around us. Are you any good when you’ve neglected your most basic needs (like a good night’s sleep or a healthy meal)? In the real simple world of managing time, clutter, relationships and more, that’s the big factor that we’re missing. If we’re not meeting our basic needs, everything else gets a lot more complicated. What’s your golden rule for simplicity? This week marks seven years since I moved out of my parents home and into a lovely little dorm room in Bloomington, Indiana. We packed a giant SUV to the brim with all my “necessities” and before I knew it, they were driving away without all the stuff and without me. Dorm life had officially begun. I was so excited. But I was way, way overprepared. To the point that I didn’t even know what to do with half the stuff I bought because Target told me it was a dorm essential! I ended up carrying a lot of that junk around with me, unused, for the next 5 years. Since a lot of students are moving in this next week, I thought I’d share what I would do differently if I had the chance. Packing up a childhood bedroom to move away for college is a perfect time to ditch some of the stuff you don’t need. Actually, this is what my bedroom looked like most of the time anyways. Keep a trash and donate bag handy when you’re sorting through everything. Don’t just put things back into storage because it’s your parents house and you think you don’t have to deal with it. Trust me, you’ll have to deal with it eventually. Then, when you’re unpacking at your new space, don’t be afraid to toss things into a donate or trash pile. Especially when you start to realize that you’ve just brought way too much. I know this sounds crazy. 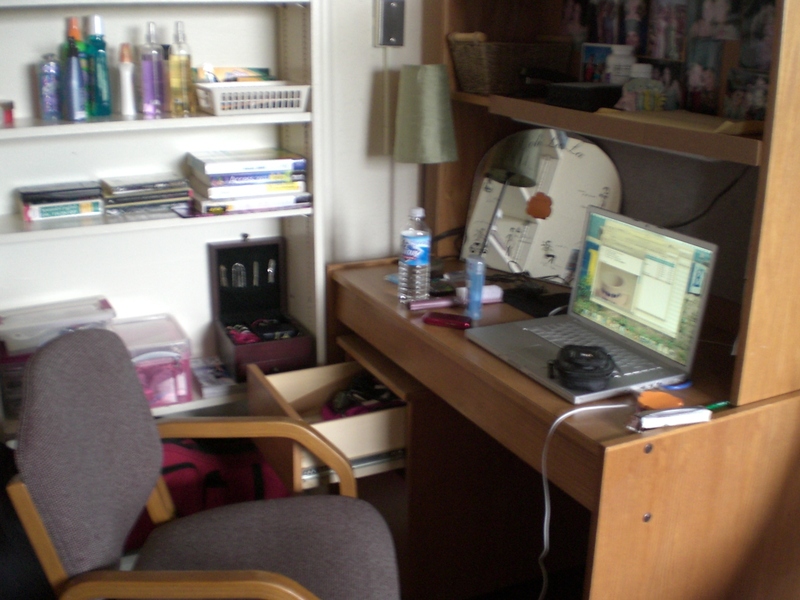 But when I got to my dorm room, I realized it had more than I anticipated – it came furnished with a chair already, so why did I need the butterfly chair? I ended up with “dorm essentials” that really didn’t even fit with my dorm room. So do only the bare minimum of shopping beforehand – I’m talking notebooks and pens at most. If you can swing it, shop a few days or a week after you move in so that you can make more conscious decisions about what you really need. Don’t have a car? Dorms should accept packages for you, so online shopping is a great option (and you get to avoid all of the tempting ads for “dorm essentials” at your local Target). This is especially important for storage. Don’t shop early for the “just in case” items. Instead, get a good feeling for what you’ll need storage for and where it will fit. Finally, this gives you a chance to find out more about the building you live in – do you need a full set of dishes and a mini fridge, or do you have access to good dining halls? Basically, don’t just buy stuff because a store says you’ll need it. I was kind of a mess when it came to decorating my dorm room. I just brought a bunch of stuff and taped it to the wall like a maniac. It stressed me out and it didn’t look very good. Did I ever tell you guys that I wanted to study Fashion Design? Yea, that was a weird time. 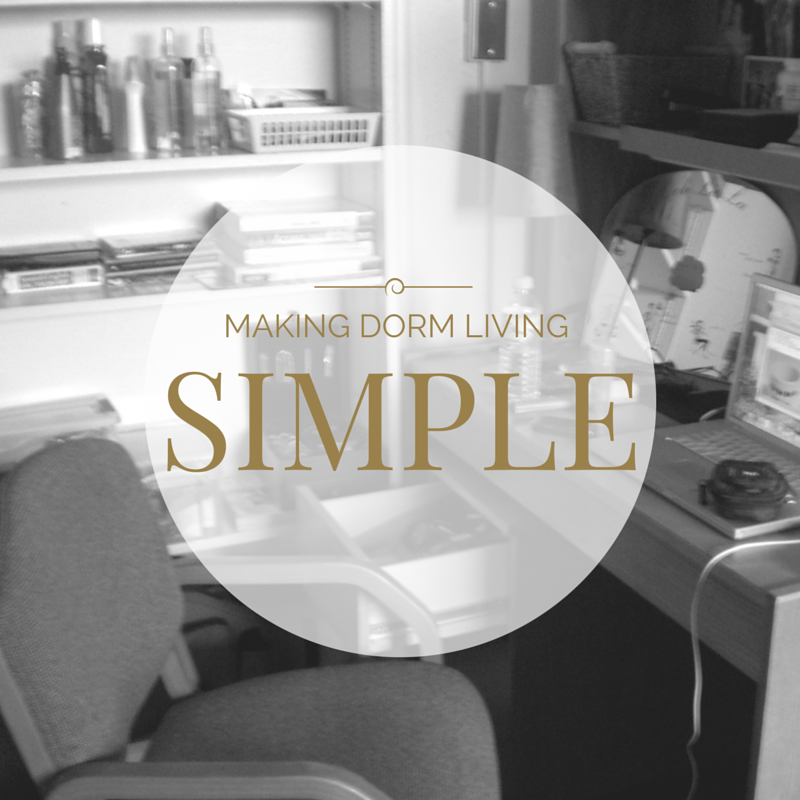 So, I encourage anyone moving into a dorm room to keep it simple. Start small. Bring only decorations that you find beautiful or meaningful. Let yourself get a feel for your dorm room before you just throw stuff on the walls for the sake of having stuff on the walls. As a former campus bookstore employee, I can tell you this: it’s all overpriced. Look online for used versions of your book and don’t be afraid to ask your professor if you can use a slightly older version. You will literally save hundreds and hundreds of dollars. If you’re not sure about whether or not you’ll stay in the class, wait on buying the book until after the first week. Do not buy school supplies at the bookstore unless you’re really in a bind. They’re marked up way past what’s even remotely reasonable. And finally – I know I’m going to sound like such a Debbie Downer – avoid school-branded swag. Shirts, tumblers, bags…slap a school logo on it and it’s 3x more expensive. I accumulated so much IU stuff through clubs and free giveaways anyway that I still looked like I had school spirit. Hoo – hoo – hoo – HOOSIERS! If you’re moving: how are you handling it? If you’ve done it before: what do you wish you would have done differently? Junk drawers. They’re like Lay’s potato chips – you can’t have just one! They’re under our beds, in our kitchens, our offices, bathrooms, you name it – there’s probably a junk drawer there. The number and type of junk drawer that we have says a lot about us – mine make me look like a just-in-case fanatic. Last year, I counted at least three bins that I considered “junk drawers” in my apartment, mostly filled with half-blank pieces of paper for later use. I’d been carrying all this crap around for years without knowing it. Drawers and storage solutions are perfect for intentional storage. But they can be dangerous too – we leave things hidden for so long that we start to forget what we own and why we own it. When we moved seven months ago, I avoided storage specifically because I don’t want to go back to having multiple junk drawers. But junk drawers always find a way, don’t they? We have a little built-in vanity and dresser area near our bathroom and we quickly made use of two tiny drawers to fill with everything that didn’t have a home. IKEA happened, and we got more little booklets and pseudo-tools to add in. Soon, I could hardly open the drawers anymore because they were stuffed with God knows what. I separated our drawers into one for my husband and one for me – before it was anyone’s guess as to whether or not there was any kind of organization. As you can see, my junk drawers are very small. However, they really were the start of something much bigger and I wanted to bring them back to a manageable size before they got out of hand. Start by identifying the offending storage pieces around your house. 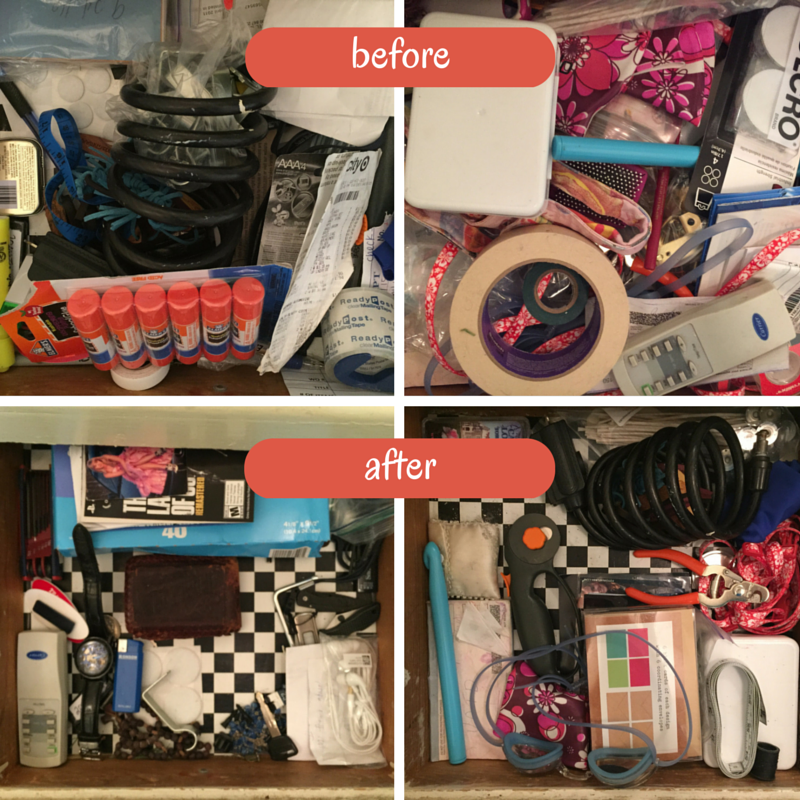 I would define a junk drawer as any drawer that has three or more different types of things – say tools, pens and playing cards or toys, rubber bands and electrical tape. Know that you can’t get rid of them completely. Honestly, I think having one dedicated drawer to miscellaneous items is useful. Especially when trying to keep surfaces clear of clutter around the house. Know that all drawers should not be junk drawers. Don’t let this mentality creep beyond one drawer in your household. Be intentional with your junk and give it a nice home. What’s most important is to keep all like items together. If you have a designated place for paperwork elsewhere, then why is your utility bill in the junk drawer? Return things to their rightful homes. When you’re done, take a look at what’s left. Are there duplicates? If you have more pens than you could use in a lifetime, get rid of them. Toss anything that is broken, about to break, or that you just don’t use. When you go to put everything back in, you should have significantly less. Put things in as orderly as you can so you can see everything easily and the drawer closes without putting up a fight. Why bother with junk drawers? First, the obvious – you don’t need to be carrying around literal useless junk whenever you move. But there’s more to it than that. I’m guessing that you visit your junk drawers just often enough to get frustrated with them. I know when I opened my drawers to find something, it would stress me out. Not a lot, but enough to warrant a good cleaning. If there’s a drawer that stresses you out even a little bit when you open it, it’s time to rethink it. There’s no reason for these little things to add stress to our lives. What’s in your junk drawers? Makeup is something that I’ve written about before, but I think it’s worth revisiting because this stuff accumulates like snow in the Midwest. I end up with more of it all the time and often don’t know where it comes from. And then I realized: I impulse buy cosmetics. Especially if they’re on sale, or if it’s a new color that I think is kind of fun. I got red lipstick last year and guess how many times I’ve worn it? Half a dozen. How many times have I worn it out of the house? Zero. 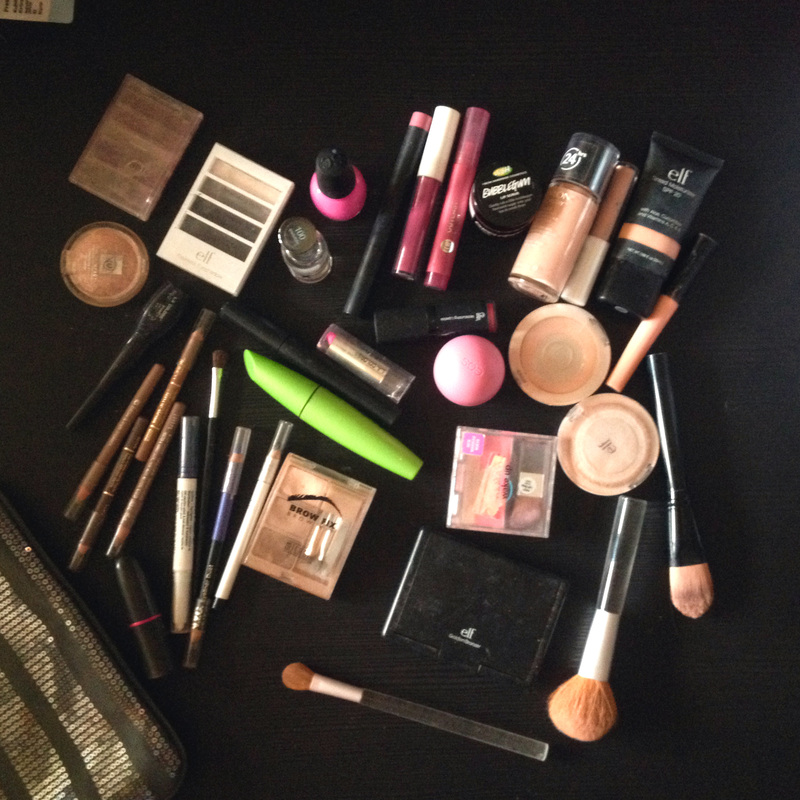 I’ve trimmed it down in the last few years, and I’ve started buying less expensive products (seriously, I love E.L.F. from Target and I won’t deny it). I think, too, that my face needs much less covering up when I’m eating and drinking and sleeping right. Not to say that’s the only fix for healthier skin, but it helps. My “collection” didn’t take up much space before I started cutting down, but I realized that’s not what this is about. 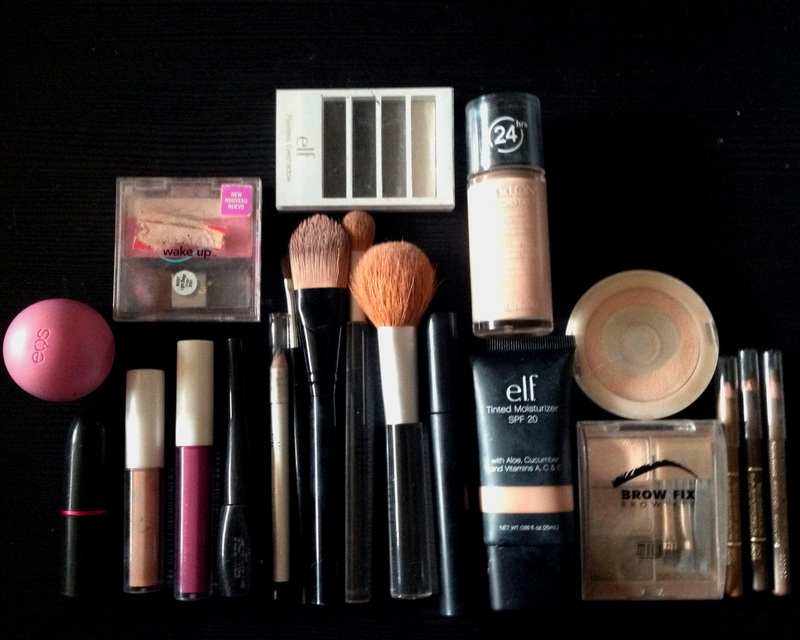 When I get ready in the morning, I have to fumble through less-used products to get to the one I always use. If you don’t have makeup, the same might go for your paperwork. It could be extra pens or a cluttered kitchen drawer. Wouldn’t it be better to just get rid of the unnecessary things that get in our way? Instead of letting yourself run into a dozen mini-obstacles every day, get rid of what causes the trouble. So I took the same tried-and-true approach to cutting down on cosmetics. Is it useful? Is it beautiful? Does it bring me joy? Is it old? Like, embarrassingly old? I just read about how long to keep makeup and I’m way out of range on some of my powder and lip products. Yikes. Do I use it or do I enjoy using it? Does it still have a place in my daily routine? If I use it regularly (or look forward to using it for a special occasion), I keep it. If not, toss it. If it’s a product I just don’t like using (for me it’s lash curlers, for others it’s eyeliner or foundation) I’ve decided to ditch it too. Does it fit my complexion or my overall style? Like I said with the red lipstick, some items just don’t work with my face. I just finished reading The Life-Changing Magic of Tidying Up by Marie Kondo, and she explains that these items have already served their purpose: their purpose was to let you know that they’re not the right choice for you. No regrets in throwing these away. Now if I need to travel anywhere, my makeup case is already packed and ready to go. It all fits in a small box, including any brushes I need and my three shades of nail polish. I feel lighter and more ready for last-minute adventures this way. Research. Makeup can be expensive. Since it’s good to use for months at a time, know what you’re getting into before you buy. Read reviews and watch videos on application so that you don’t just buy random products in your quest for the perfect look. You can even look for videos or reviews for drugstore alternatives to more expensive brands. Get Samples. Samples let you know that you like a product before committing to it. They’re free, they’re small and they’re a good way to curb impulse buys. My friend recommends Sephora, where the products are high-quality but the prices can be intimidating. Don’t be afraid to ask questions and give the product some thought before tossing it in to your shopping cart. I hope this gives you a good start in going through your own makeup and creating the rules that work best for you. Remember, there’s no magic number to minimalism. It isn’t about extremes either. It’s about living with only what you need and what sparks joy. It’s about making more space in your life for what really matters to you.